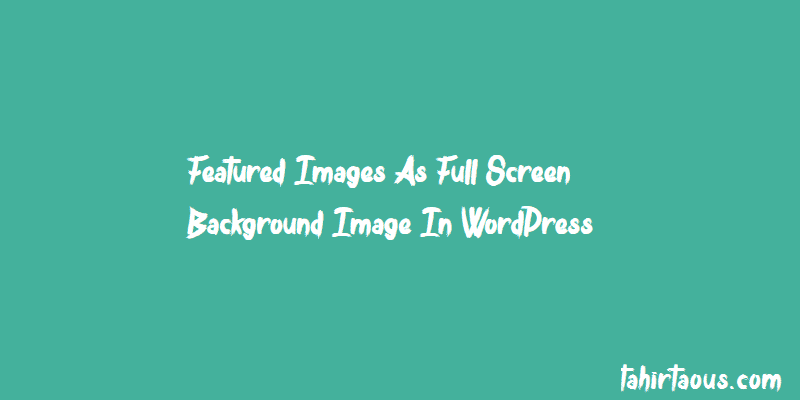 It is very easy to use WordPress featured image as full-screen background image in WordPress. Let’s suppose you want to use your WordPress featured image as full-screen background image on your specific page e.g custom landing page. You can use following code in your theme file. Just change normal body tag with the following tag. Now create your new page in WordPress dashboard and use a large image as featured image. That’s all. 🙂 Now you know how you can use Featured images as Full Screen Background Image in WordPress.